A more efficient car engine? That’s the goal. An opposed-piston engine is more efficient than a traditional internal combustion engine. 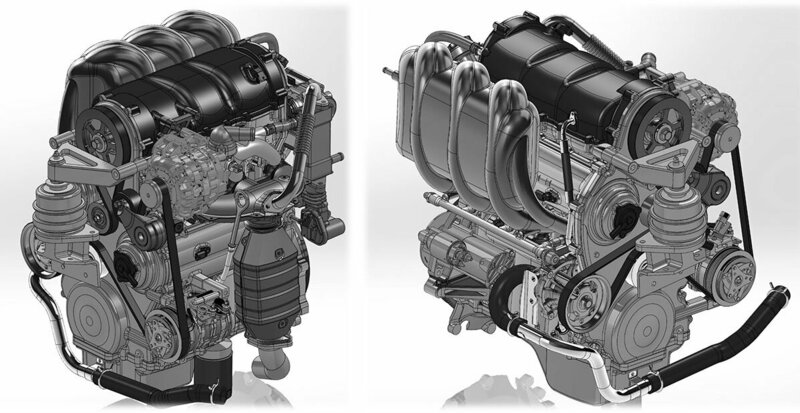 Pinnacle Engines is developing a multi-cylinder gasoline engine for automotive use. The team enhanced the engine’s reciprocating sleeve-valve system, thanks to a Department of Energy supercomputer. The result? An engine with better combustion and reduced pollutant emissions. In an opposed-piston engine, the mechanics and thermodynamics involved are complex. Changing the design offers unique challenges. Through access to the Titan supercomputer at the Oak Ridge Leadership Computing Facility, Pinnacle Engines discovered a design concept that met its technical goals. Now, Pinnacle Engines is building a prototype engine for testing. For over a decade, California-based small business Pinnacle Engines has developed opposed-piston engines for a range of small, single-cylinder applications such as motorcycle and industrial generator engines. To overcome some of the mechanical and thermodynamic challenges of developing an opposed-piston engine for passenger cars that meets efficiency and emissions goals, Pinnacle Engines researchers used the Titan supercomputer and Eos cluster at the Oak Ridge Leadership Computing Facility to optimize the company’s engine model. To prepare its code for Titan’s large-scale architecture and improve analysis of scientific results, the team also worked with researchers at the Oak Ridge National Laboratory National Transportation Research Center. On Titan, the team completed computational fluid dynamics simulations for a multi-cylinder engine eight times faster than was possible on Pinnacle Engine’s in-house computing resources. The detailed Titan simulations revealed the importance of combining a swirling and tumbling motion of gas during combustion, known as a “swumble” mode. Ultimately, Pinnacle Engines discovered a design concept that met its technical goals: a four-stroke, opposed-piston, sleeve-valve engine with variable valve timing and compression ratio and a swumble mode of combustion. The team modeled the combustion system over typical operating conditions and determined the design could successfully meet emissions and fuel-economy standards. Pinnacle Engines is now building a prototype engine for testing.